Here is a collection of fun and lively stories about seven "normal" boys; one an inventive genius. They have their very own clubhouse for cooking up ideas, an electronics lab above the town hardware store, and a good supply of army surplus equipment. The result is a boyhood dream come true - and stories filled with fun and excitement. 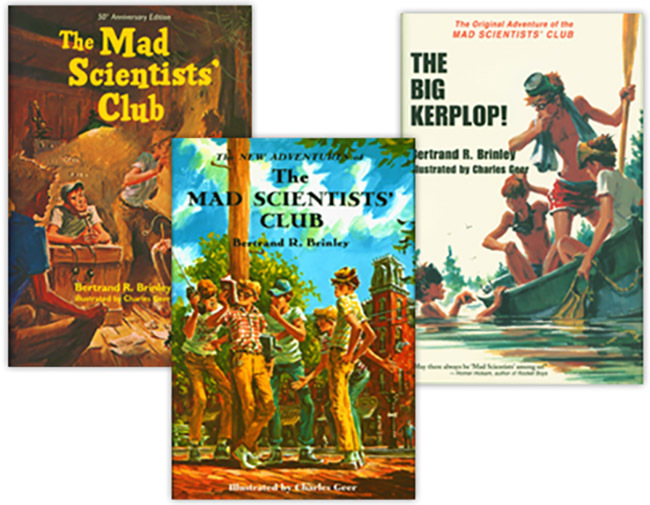 Captured within these pages, are fun-filled escapades of the young scientists whose exciting capers debuted in Boys Life over 50 years ago. Hardcover. Recommended for Grades 5 and up.